The subject of this R.V.I. National health insurance company review is R.V.I. National Insurance Company, also known as R.V.I. Group. 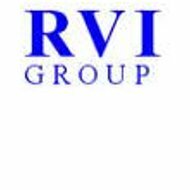 The company was originally formed in 1989 under the name R.V.I. Guaranty Co. Ltd. and offers only one type of insurance product known as residual value insurance. This product protects leased assets from loss of value due to future market declines. It is purchased to protect things such as leased aircraft, trucks, office equipment, and so forth. Your search for affordable health insurance rates begins when you enter your zip code in the box below. Because R.V.I. group does not sell health insurance, we will be unable to directly address that in this article. Nevertheless, we will take advantage of this space and talk about what the company does offer, and how it operates, in case it can be of some value to you. If you still need to find a health insurance provider, you are urged to look at some of the other companies profiled on this website. With as many companies as we offer you should be able to find one that suits your needs. Companies that are in the business of leasing assets always take the risk that they will not fully recover the value of those assets should market conditions change. As an example, an aircraft company that leases jets to corporate clients plans on recovering the entire value of a jet, plus some profit, throughout the life of the lease. However, if the lessee is unable to fulfill his end of the lease, and the owner cannot re-lease the airplane at the same rate, he stands to lose money on the value of the aircraft. This is where companies like R.V.I. National come in. They protect the aircraft owner from loss of residual value by offering an insurance policy that pays out in such cases. Not only is this type of insurance valuable to aircraft owners, but truck leasing operations, car rental companies, and office equipment companies also use it. Wherever assets are leased, this type of insurance is invaluable. As an added service, R.V.I. Group also provides assessment and analytic services to companies in the car rental industry, helping them better manage their fleets. R.V.I. National is officially registered as being domiciled in Bermuda. However, their management headquarters are based in Stamford, Connecticut; they also have a satellite office in Scarsdale, New York. We have listed the New York headquarters address below in case you need to contact R.V.I. Group management. In terms of utilizing independent agents, R.V.I. National really has no need for them. The scope of their business is such that they can deal directly with clients on a one-on-one basis. Not only does this allow for more direct contact, it also provides the means for custom tailoring policies to each individual customer’s needs. In addition, since residual value insurance is so unique to each asset, it is important that the company have this ability. In the United States, all insurance companies are required to file annual financial paperwork, which details their financial standing. Records from the end of the 2010 fiscal year show that R.V.I. Group and its subsidiaries were doing fairly well. The reports listed working capital of $2.7 million, a policy surplus of $10.4 million, and total assets just over $13.6 million. These numbers are decent given the size of the company and the scope of its business. Like most insurance companies, R.V.I. includes a careers link on their corporate website, allowing interested job candidates to see what positions are available. There are currently only two listed on this page. Each one includes a detailed description of the job, its requirements, and where it is located. You’ll also find instructions regarding how to apply and where to send your resume. It is assumed the company updates this page regularly as job postings are made available. Even though the R.V.I. National doesn’t provide health insurance, you can still search for health insurance quotes online by entering your zip code below.